Have you found yourself getting repeatedly frustrated because you have to essentially ‘dig’ your computer out from the mound of paperwork lying on top of it? Do you look at your cluttered desk and instantly feel stressed? Not to worry, this happens to the best of us, and it’s not such a bad thing that you’re working so hard you haven’t noticed your desk starting to evolve into the inside of a space after a hurricane. But a tidy desk does indeed equal a tidy mind, so although this task might seem huge, you will feel the benefits of it immediately when you’ve finished. The first thing you have to do is allocate the time to actually smarten up your office. So in order to get started, you must allow yourself the time to do the job properly. If you keep putting it off, it will keep getting worse so don’t delay the process any longer and get started. There will never be a job that involves organisation that doesn’t involve decluttering. So it’s time to get the recycling bags out and start sifting through all the clutter you have accumulated. Sometimes you have to make a mess in order to make progress, so you might find yourself surrounded by various piles of different stuff at one point and wonder how the end will ever be in sight. This is a normal feeling, but you must remember it is all part of the process and you will get there in the end. You must be brutal during this stage and get rid of everything you know you don’t need or want. Remember the more you keep, the more you have to build your next city of clutter on. If you have mounds of paperwork you know you need to keep but you don’t have the room to physically store them, consider archiving it in a low cost self storage unit. From there you could then work on digitally archiving it when you have the time. While your desk has been completely emptied, this could be a good opportunity for you to take advantage of the process and switch office equipment for something more versatile and practical. If you’ve had a huge desk for years, it was inevitable you were always going to find stuff to fill it with – regardless of whether you are a writer, run an internet marketing business or an seo consultancy. Take a trip to a furniture store and opt for a more streamlined desk with more innovative storage solutions so you can start the way you mean to go on. Don’t just focus on your desk if you have a whole room as your study. 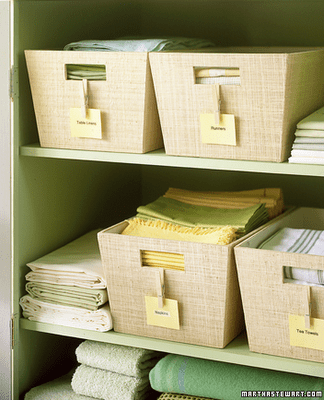 Consider buying some wall shelving and foldable boxes that fit inside your drawers. Try to make sure everything has a home within the office, so you’ll know that nothing is in the ‘rubbish drawer’ or the ‘miscellaneous pile’. Once you’ve organised yourself successfully you can then reward yourself with some nice decorations and additions that make your office homely. Remember to stay minimalist with this so you don’t completely undo your hard work by filling your new streamlined space with brand new clutter! Once you’re done, you can look over your new kingdom with pride and look forward to starting working in there on Monday!